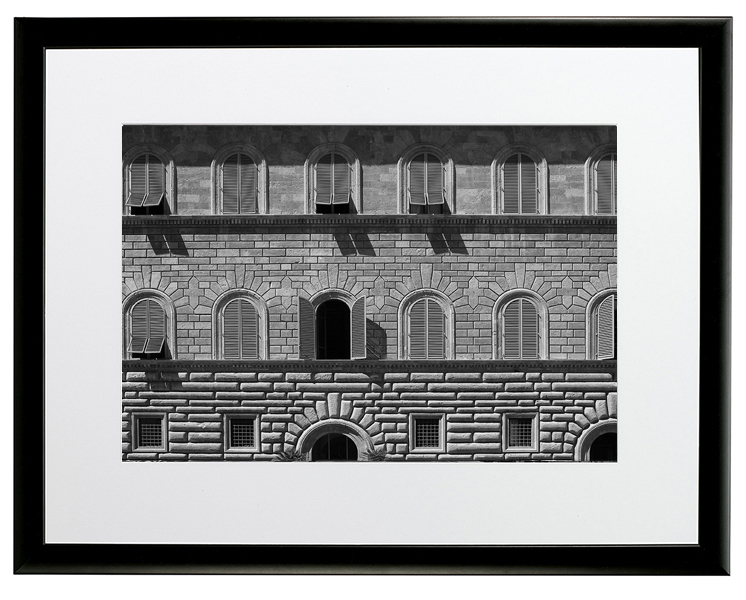 This monochrome image of ‘Firenze’ is a Art Edition and is printed on matt fine art paper, mounted and framed in a hand made black silk finish frame and glazed with art screen. Also available is an Unframed Print Only Option in both A3 and A2 Sizes. Your ability to view the true colours of this image will depend on the accuracy of your monitor. Please allow up to 10 days for delivery as each print and frame is made to order.